We are the leading manufacturer of tundish boards for continues concast machine. Ava-slab is a expandable low heat capacity hot topping insulators used to line the inside of a tundish under the shape of slabs on top of the existing tundish refractories.The metal is poured on the Ava-Slab lined tundish and once the casting is over the slabs fall off and new set of Ava-Slabs has to be installed for next pouring. We are leading manufacturer of Silica & Magnesite Base Tundish Boards for continues casting machine along with Sealing (Gar seal) & Packing (Gar pack) compound. we are supplying our products in all over world with quality satisfaction to our costumers. We are a most trusted name in between the topmost companies in this business, instrumental in offering high quality array of Tundish Board. 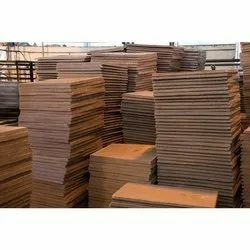 MPR Refractories Ltd manufactures wide range of Tundish Boards. 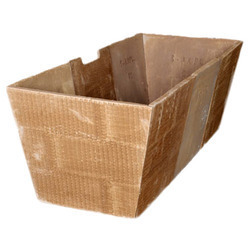 Apart from these standard sizes, we manufacture specialized shapes as specified by the customer against order. We manufacture top quality Tundish Boards. Tundish Boards are the disposable boards used to form an inner lining for continuous casting tundishes.